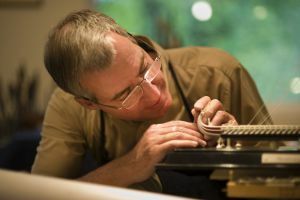 The Warther family of Dover, Ohio has been a family of artisans working in bone and ivory since 1902 when Ernest Warther began a family business of knife making and carving. 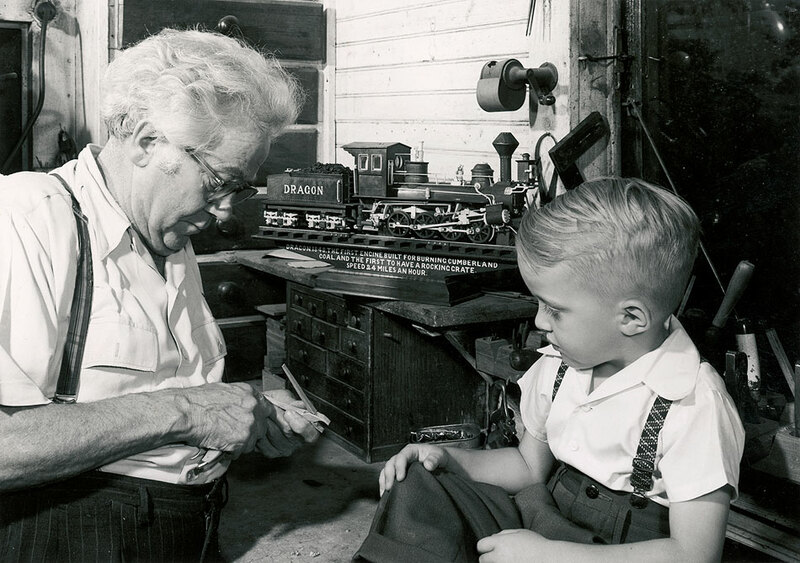 Ernest's son, David Warther Sr., entered the family business after getting out of the service after World War II. 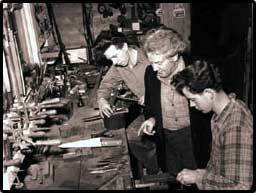 In addition to making ivory handled cutlery he began providing ivory parts to artisans and craftsmen in America. In the 1970's, David's son, David Warther II began making ivory parts from elephant tusks and soon thereafter introduced ancient mammoth ivory parts.This unique material is sourced from Canada, Alaska and Siberia where it has laid frozen in the earth for 10,000 to 30,000 years. 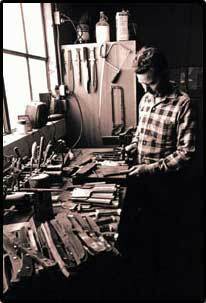 Bone parts became part of the product line in 1998 when our customers began asking us to source a better grade of bone than was being offered by the Luthier supply houses. We found that Middle-Eastern oxen bone provided better acoustical properties and was of superior overall quality than the typical water buffalo bone that everyone was sourcing from China. Today our ancient ivory and bone parts are being used by Original Equipment Manufacturers around the world. We sell these same high quality parts to smaller builders and re-builders of instruments as well as to individual luthiers and craftsmen. These same high quality parts are available on this website with no minimum order requirement and with a low fixed shipping cost of $ 6 per order regardless of order size when being sent to a US address.